Why Would God Ask Us To Marry? Recently, I read an article called "Against Marriage" by Clare Chambers, which details the author's view about marriage being an out-dated and discriminatory notion of the state. I found the idea about relationship contracts to be intriguing and hope that it continues to be explored. The part of me that is much more satisfied with a Trust than a Will or an Incorporation than a Sole-Proprietorship is mildly excited to go and write up a "relationship contract" of my own. (Just call me "White and Nerdy"). And while I take issue a bit with her title (it appears to me that "Against State-Recognized Marriage" is a bit more accurate, if not as clickable), I am in agreement with her about the inequality caused by rigid and legally anemic semantics imposed upon a pluralistic society. That said, I believe there is a point to be made about marriage itself which transcends Ms. Chambers's arguments about any state's existing or future relationship framework. Because I hold the authors of this proclamation to be God's oracles and, perhaps somewhat out of hand, believe that these oracles wrote this paragraph under God's direction and approval, I begin with the premise that God wants me to be married. Nowadays, this is out-moded. Just the other day, there was an "applauded" article on Medium which took the position that I shouldn't quote something that people don't read anymore (the Bible) and pretend that it is still relevant. And while I can hopefully find the time to write about that as well, I realize that for now, this article is largely appealing to those who already agree with me, but see if you can hang with me for another minute. Why Would God Want Me To Be Married? I, of course, recognize that we live in a pluralistic society and thus each of us needs to work hard to discover what blind spots we have that are based on the assumption that our way just happens to be the "endorsed" way. And while I affirm that everyone will believe in God eventually (see my traditional LDS view of the afterlife as a reference), I don't pretend that everyone believes in God today. I don't see it as prudent for me to formulate state or federal laws that mandate or endorse behavior that presumes adherence to Christianity or internal personal alignment with Christian theology--there are simply too many of us with too diverse worldviews. So, while Ms. Chambers may be correct that the state isn't a good place for the notion of marriage, marriage is still the end goal that God has for each of us in His plan. The notion of marriage is deeply embedded, then, into LDS theology, and it brings up the first answer as to why God would have me be married, and the answer is: Because they are. We have to go a little bit further, though, since I as a parent know intrinsically that some things I've chosen for myself and my own happiness will not be a fit for each one of my kids. I will never understand why some of my kids don't like tomatoes, and I'm fine with them not partaking of their tastiness (more for me!). But what about marriage? This is obviously a bit of a hot topic in religious circles as we attest a distinction between gender, sexual attraction, and ultimately behavior. Again, something that I'm going to leave as a given for the time being, with just the food for thought that there are a number of earthly experiences which seem to me to be more a product of evolution than they are indications or representations of our eternal nature. What "eternal purpose" do marriage and gender serve? One of the most common themes in the common Christian canon as well as additional LDS scripture is "broken things to mend". The Lord heals our broken heart, he gathers scattered Isreal, he covenants with broken bread (communion), he legitimizes our broken yoke with his. There is the notion of the Atonement, which is the power that Christ has, by us becoming one with him through baptism (the At-ONE-ment, as some are fond to say), to make us into a whole person. … For this cause [for the cause of forming a new marriage relationship] shall a man leave father and mother, and shall cleave to his wife: and they twain shall be one flesh? Wherefore they are no more twain, but one flesh. In my opinion, the scriptures are trying to tell us something important about marriage and about how heaven works. Certainly, the scriptures are even more direct in their extensive use of the analogy of Christ as the bridegroom and the church as His bride. In the celestial glory there are three heavens or degrees; And in order to obtain the highest, a man must enter into this order of the priesthood, meaning the new and everlasting covenant of marriage; And if he does not, he cannot obtain it. This is what Paul meant in his epistle to the Corinthians. Without that power, afforded by a man and women joined together, you and I cannot become like God. Now, my view on commandments is that they are sort of the calculus of eternity. God is not capricious, but is instead telling us how things work in heaven, e.g. "if you want to do the things that We do now, you have to do the things We did then, and here is what they are". 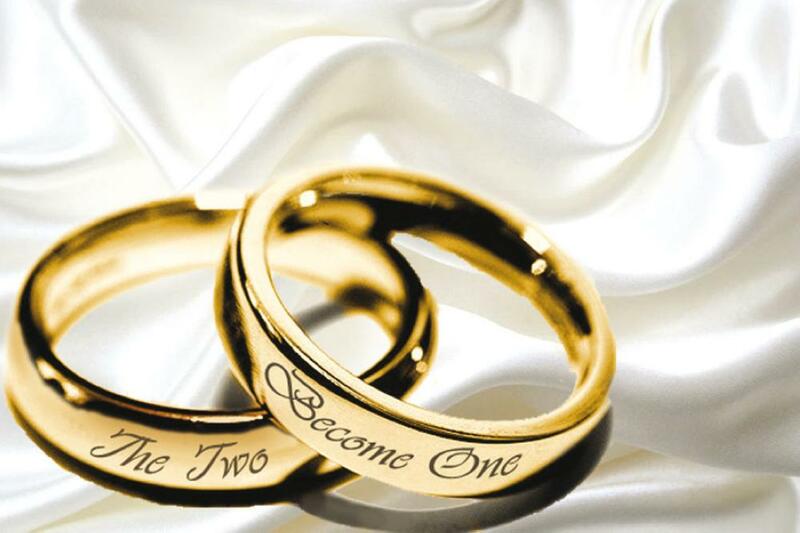 And so, the "commandment" of marriage is just that, an invitation to follow in God's footsteps. If you don't want to, then there are other "degrees" of heaven attainable. But Isn't Marriage Pretty Patriarchal? Ms. Chambers makes the point that marriage reinforces patriarchy. And there are some who may tell me that the LDS church is still very patriarchal. I don't deny that we have a long way to go to figure all this out, applying the Lord's word in the correct way. And I'm also not blind to the fact that 1 Corinthians 11, which I quoted earlier, has things that don't seem to apply today, like a woman's face being covered during worship. There is a balance that we've yet to strike. I do not believe that someone who is striving to become like God can fulfill the mandate of this scripture without both the woman and man acting in unity, one with another. Personally, for me, this theology is about as egalitarian as it gets. No one gender can do it alone, no one person can get to heaven by themselves, nor by lording dominion one over another. So, while we are doing our best to follow God's teachings, we do so in a large, diverse, interconnected society where it may eventually be impossible to include notions of marriage in federal and even state legal frameworks. Marriage is still God's plan, though. I affirm that our heavenly parents want this for each of us.